A boy who trapped his head in gates has been awarded €50,000.00 in damages in a compensation claim* taken before the Circuit Court. Lee McCabe was only four at the time of the accident. He suffered lacerations to his head and was left with significant scars above his right eye when his head became trapped in security gate. it was heard that the accident which led to the compensation claim* was caused by faulty sensors which did not sense the boys presence as the gates closed. Lanesborough CDE and F Management Company Limited who managed the Lanesborough Square Development in Finglas were sued by Lee though his mother Michaelle McCabe. The defendants had originally refused the assessment by the Injuries Board in the sum of €37,133.00. As Lee was a minor any settlement or assessment is required to be approved by the Judge. Justice Goarke did not feel the sum €37,133, was suficient on examining Lee’s scars and considering the medical reports. An increased offer was subsequently made by the defendants in the sum of €50,000.00 plus special damages ( out of pocket expenses relating to the claim) and Judge Alymer approved the new offer with costs awarded against the defendant. it would be standard for costs to be awarded against the defendant in a successful compensation claim. This is an excellent example of how a Judge can protect a minor claimant ( under 18) in a compensation claim by refusing to allow an award of an amount that is less that what the Judge feels is sufficient to compensate the child concerned. 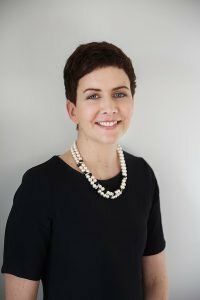 If you would like to speak to a specialist personal injury* solicitor on a no obligation basis, contact Etain Boyce today on 074 9890190. *In contentious business, such as personal injury cases, a solicitor may not calculate fees or other charges as a percentage of an award or settlement.this statement is issued in compliance with the Solicitors Advertising Regulations.